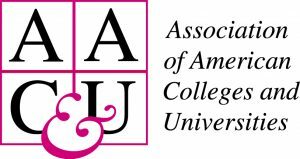 In a new report released by the Association of American Colleges and Universities (AAC&U), Hart Research found that employers express a higher level of confidence in colleges and universities than does the American public overall and they agree on the value and importance of a college education. Consistent with findings from Hart Research’s previous research for AAC&U, employers overwhelmingly endorse broad learning and cross-cutting skills as the best preparation for long-term career success. The college learning outcomes that they rate as most important include oral communication, critical thinking, ethical judgment, working effectively in teams, written communication, and the real-world application of skills and knowledge. The report, “Fulfilling the American Dream: Liberal Education and the Future of Work,” summarizes selected findings from two parallel national online surveys among business executives and hiring managers. It is part of AAC&U’s ongoing Liberal Education and America’s Promise (LEAP) initiative. Previous employer survey and economic trend research as part of AAC&U’s LEAP initiative can be found here. ©2019 Hart Research Associates, Inc. All Rights Reserved.